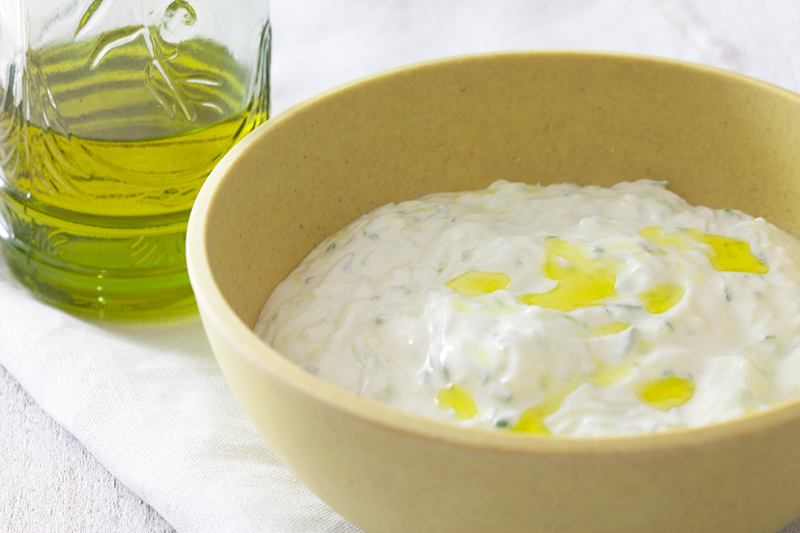 Ever bought tzatziki? Well not anymore! This recipe is so easy to make, you’ll think twice the next time you’re out shopping for groceries. Just follow the simple steps in this recipe and impress your family and friends with this delicious condiment, which goes great with a whole variety of food! Cut the two cucumbers in half and remove the seeds. 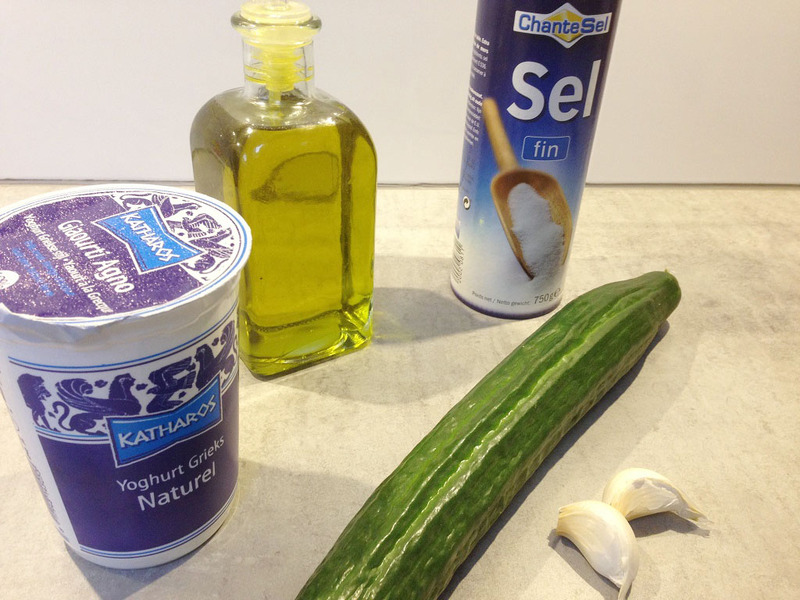 A very easy way to remove cucumber seeds is by using a regular spoon or a Parisienne drill. Grate the cucumbers, but not too finely. Set aside and let rest in a sieve for about 5 to 10 minutes. MEANWHILE chop the garlic cloves finely. Remove most of the cucumber moist by pressing the grated cucumber against the sieve. 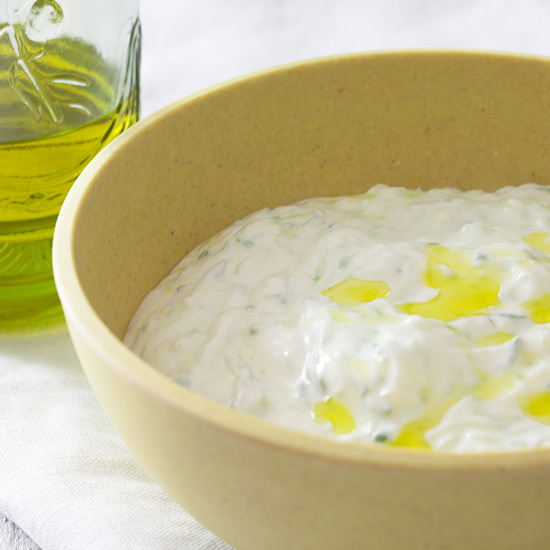 Mix the greek yoghurt in a nice big bowl with the chopped garlic, 3 tablespoons of olive oil and grated cucumber. SEASON with some salt. 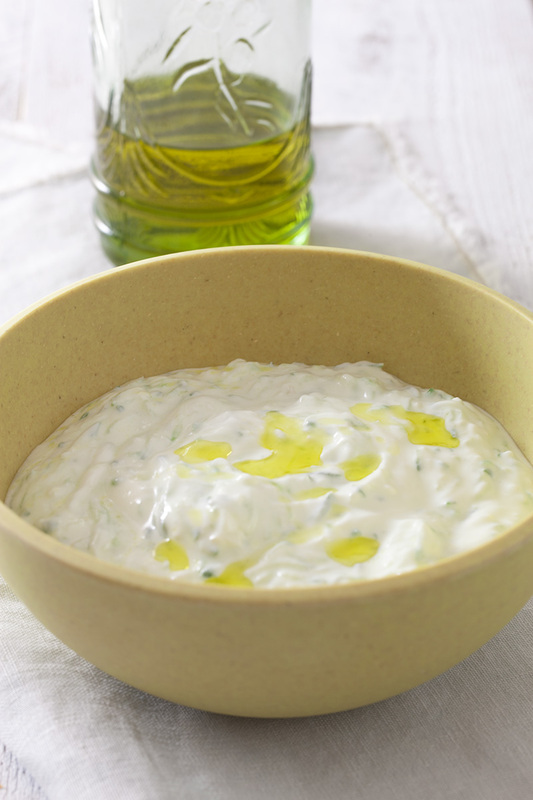 The tzatziki goes great with main courses with beef, pork and lamb. Great for parties, serve with home-made bread and use it as a dip-sauce. Click here to check out our recipe for rosemary bread.